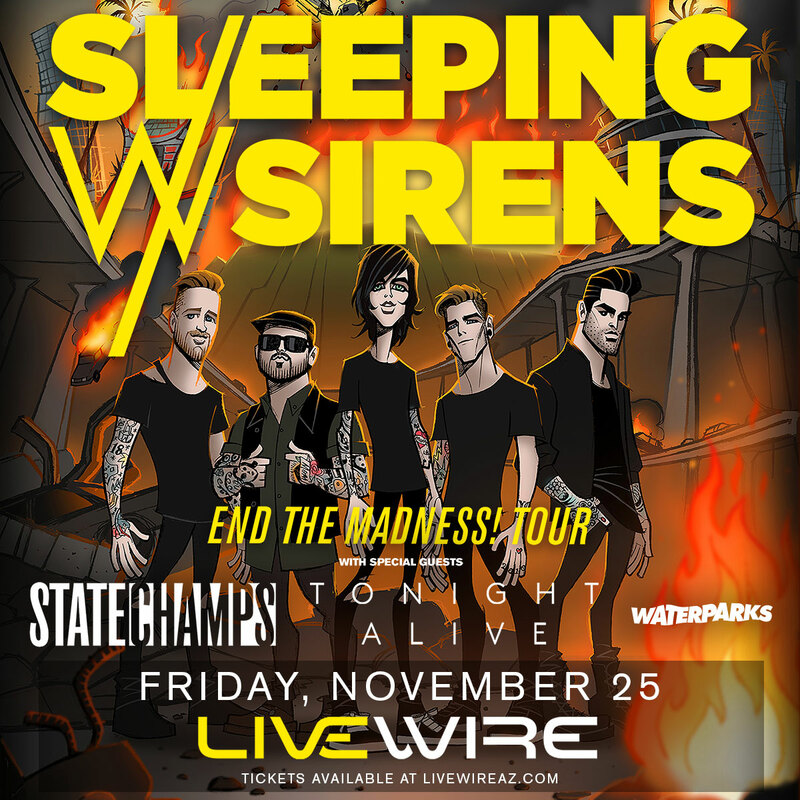 Tickets available at the Livewire Box Office! Doors open at 6:30 PM! General Admission, Standing. Livewire is an “open floor” venue to allow artists to connect with their audiences during performance. If you are interested in Bottle Service in a VIP Booth, please contact Tyler at TylerP@livewireaz.com or 480-849-5010. All Ages – Under 16 permitted with the purchase of a ticket AND must be accompanied by a paid adult. Scottsdale has curfew laws in effect. No service fees for tickets purchased with cash at the Livewire Box Office. All tickets subject to the facility fee. Prices subject to change without notice. Advanced purchase highly recommended as many shows do sell out.